Joel Finlayson is a Partner with iGan Partners and the Managing Director of iGan Advisory for portfolio companies. He has almost 20 years of strategy consulting & investing experience in healthcare & technology and is an Associate of the Creative Destruction Lab in Toronto. Before joining iGan, Joel was the Co-Founder & Managing Director of WellNovation a family-office funded healthcare incubator based in Riyadh & Dubai that established businesses in diagnostic imaging, primary care & homecare and medical education & training. Previously, Joel was the Middle East Healthcare Partner with PwC and the leader of the firm’s regional Healthcare Strategy Practice where he worked closely with regional governments on the comprehensive restructuring of national healthcare systems. Joel moved to the Middle East with MONITOR Group where he was an Associate Partner & General Manager and worked with MONITOR in Canada, the US and throughout the Middle East in Healthcare & Technology practices. 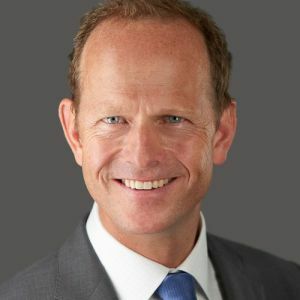 Joel holds an MBA from Cambridge University in the UK, an undergraduate degree in Politics & Economics from Dalhousie University in Canada, and has completed executive healthcare programs at Berkeley School of Public Health in the US and INSEAD in France.